Starring Kodi Smit McPhee, Jóhannes Haukur Jóhannesson, Natassia Malthe, Leonor Varela, Jens Hultén, Mercedes de la Zerda, Priya Rajaratnam, Spencer Bogaert, and Marcin Kowalczyk. 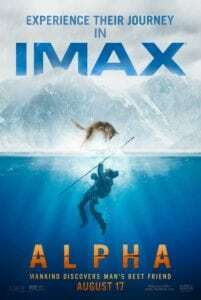 An epic adventure set in the last Ice Age, Alpha tells a fascinating, visually stunning story that shines a light on the origins of man’s best friend. Alpha is indisputably a beautiful picture, filled with gorgeous Ice Age landscapes, vast wide open areas captured with panoramic cinematography, a diverse range of weather conditions, and some vividly striking lighting effects that almost transform the aesthetics into a graphic novel (especially when featuring the boy and his protector wolf-dog in the foreground of such effects-driven backdrops), yet it still largely rings hollow. 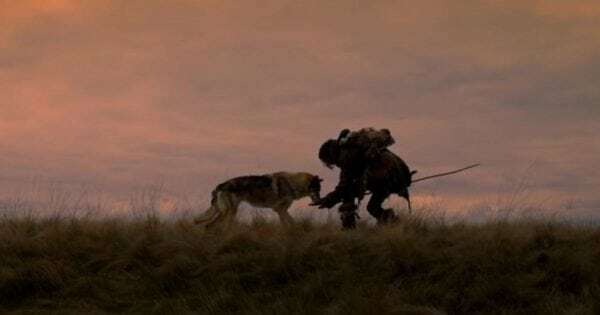 Perhaps films like The Revenant have forever spoiled me with depictions of survival in the face of extremely harsh and seemingly insurmountable conditions, but much of Alpha feels safe. There’s danger around every corner (the child and man’s newfound best friend join forces to heal one another, assist each other in rounding up live animals to roast for eating, and generally come to the aid of one another during life or death situations) but I doubt audiences will ever actually feel it. 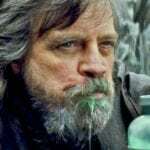 Shot on location in various parts of Canada and Iceland, the filmmakers have already done their job in ensuring viewers will feel the cold that these characters are braving, clinging to any source of fire they can to warm up. That’s not my issue; the problem is the unnecessary and overcrowded CGI that overwhelms the frame to the point where fakeness acts as a counterweight to the reality on the display. There needs to be some balance as far as utilizing the special effects goes. It’s such a shame because the actual cinematography of Alpha is quite impressive, most notably in a sequence where Keda (Kodi Smit-McPhee playing the prehistoric teenager doing as much as he can with the material given to generate empathy, but really this is a movie driven by spectacle more than narrative) is trapped underneath ice and drowning while the wolf (Keda decides to name him Alpha due to some choice words of advice his father gave him across one of the film’s many cringe-worthy speeches regarding motivation, the way of life, survival, etc) heroically comes to his rescue. It’s not necessarily a scene covering new ground for the genre of human/animal bromances, but here the camera is panned back and tracking both Alpha above the ice and Keda below, culminating in one hell of a stunning shot. Considering how decidedly photography and special effects driven Alpha is, I wish more of the set pieces led to similar moments. Instead, the CGI is usually concerned with piling on more, whether it be thunderstorms or blindingly foggy skies. To be fair, there are also some pretty natural environments such as the inside of a crystallized cave. Unfortunately, Alpha consistently seems to believe that more is better when it comes to CGI. Yes, this movie is beautiful, as previously mentioned, but with a less is more approach it could have been downright pristine. It also needs to be mentioned that Alpha unsuccessfully shifts tones from time to time, most likely as a result of how much the movie has spent going through reshoots and back into the editing room (for some perspective, I remember receiving notifications of public screenings at the end of 2016/early 2017). Sometimes it’s a gritty (and surprisingly bleak for a family-friendly experience) story of survival amid chilling conditions, and other times it randomly becomes a series of vignettes exploring traditional characteristics regarding the bond between man and dog, and how they came to be (you’re going to learn about everything from fetching bones to taming dogs to not steal food). Is Alpha an origin story of this dynamic or survival story? You tell me, the film itself doesn’t seem to know. Confused as it may be, Alpha still does have its visuals going for it alongside some wise decisions from director Albert Hughes that don’t condescend to the audience. For example, the film is entirely subtitled in some form of ancestral English language and is competently acted as can be despite a poor script from Daniele Sebastian Wiedenhaupt. 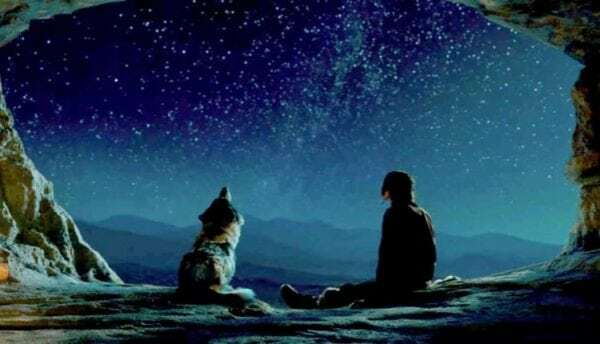 Sure, these are simple people and simple times, but that’s no excuse to deliver nothing to latch onto emotionally besides “Here’s a boy and his dog, will they live or die?”. The first 30 minutes attempt to assign Keda the character of a weakling that will probably never match up to the courage, bravery, and strength of his father, but it’s all very basic cookie-cutter stuff that comes across as incredibly boring. Somehow, the budding friendship with Alpha isn’t exactly more exciting. Simultaneously, Alpha surpassed every expectation I had, but honestly, the bar was low from just being in the loop of how frequently it was delayed with changes being made. At some point, it feels as if the filmmakers decided that the story was never going to be the strong point, choosing to throw all of their weight into making this a visual spectacle. In some ways, they delivered on that effort. Only check out Alpha if you desire some razzle-dazzle worthy of the IMAX format; that’s about all it is good for. Unless, you really, really love dogs; that probably will bump up your enjoyment, but only a few notches.